The Somerset Light Infantry (Prince Albert’s) was an infantry regiment of the British Army, which served under various titles from 1685 to 1959. Its lineage is continued today by The Rifles. The regiment was one of nine regiments of foot raised by James II when he expanded the size of the army in response to the Monmouth Rebellion. On 20 June 1685, Theophilus Hastings, 7th Earl of Huntingdon was issued with a warrant authorising him to raise a regiment, and accordingly the Earl of Huntingdon’s Regiment of Foot was formed, mainly recruiting in the county of Buckinghamshire. The regiment remained in existence when William III came to the throne in the Glorious Revolution of 1688. Fernando Hastings took over the colonelcy of the regiment, which accordingly became Hastings’s Regiment of Foot. Hastings’s Regiment first saw action at the Battle of Killiecrankie, where they failed to halt the advance of Jacobite rebels, although they were later defeated at the Battle of Dunkeld. The regiment accompanied William to Ireland in the following year, fighting in the decisive Williamite victories at the Boyne and Cork. The Jacobite struggles in Scotland and Ireland were part of a wider European conflict that became known as the Nine Years’ War. In 1692, Hastings’ Regiment sailed to Flanders and, in 1694, took part in the disastrous amphibious assault at Camaret on the French coast. In 1695, Colonel Fernando Hastings was found guilty of extortion, and dismissed. Sir John Jacob became the colonel, and it was as Jacob’s Regiment of Foot that they returned to England at the end of the war in 1697. After a period of garrison duty in Ireland, Jacob’s Regiment returned to Flanders in 1701. In the following year, the colonelcy again changed, with Sir John Jacob choosing to retire. He sold the colonelcy to his brother-in-law, Lieutenant-General James Barry, 4th Earl of Barrymore, for 1,400 guineas. With the outbreak of the War of the Spanish Succession, the Earl of Barrymore’s Regiment of Foot saw action at the sieges or battles of Kaiserwerth, Venlo, Roermond, Huy, Limburg and Liège. In 1704, Barrymore’s Regiment moved to the Iberian Peninsula taking part in the defence of the recently-captured Gibraltar (1704–05) and the Siege of Barcelona (1705). In 1706, the bulk of the regiment was converted into a regiment of dragoons due to a shortage of cavalry. Barrymore returned to England with a small cadre; the regiment was re-raised and returned to Spain. The unit fought at the Battle of Almanza (1707), Battle of Caya (1709), Battle of Tortosa (1711) and the Battle of St Mateo (1711). In 1711, the regiment started a long period of garrison duty at Gibraltar. In 1715, they became Cotton’s Regiment of Foot when Stanhope Cotton succeeded Barrymore. When war broke out with Spain in 1727, Cotton’s were part of the force that resisted the Spanish Siege of Gibraltar. The regiment returned to England in the following year. It remained there until 1742, with the name changing with the colonelcy: Kerr’s Regiment of Foot (Lord Mark Kerr) in 1725, Middleton’s Regiment of Foot (Brigadier-General John Middleton) in 1732 and Pulteney’s Regiment of Foot (General Harry Pulteney) in 1739. In 1742, Pulteney’s Regiment sailed to Flanders, and in the following year was part of the joint British, Hanoverian and Austrian force that secured a victory over the French at the Battle of Dettingen in June 1743. In May 1745, the situation was reversed when they were part of the allied army decisively defeated at the Battle of Fontenoy. In 1745, Pulteney’s Regiment returned to Britain, moving to Scotland to suppress the Jacobite Rising of 1745. They formed part of the defeated forces at the Battle of Falkirk in January 1746. Three months later, they took part in the final defeat of the Jacobites in Culloden. Following the ending of the Jacobite rising, Pulteney’s Regiment returned to Flanders, where they fought at the Battle of Roucoux (October 1746) and the Battle of Lauffeld or Val (July 1747). In both cases, the allied forces were defeated by the French. The regiment returned to England in 1747, and the war was formally ended by the Treaty of Aix-la-Chapelle in 1748. By the late seventeenth century, each regiment of the standing army had been alloted a “rank” in the order of precedence. These numbers came to be increasingly used until a royal warrant of 1751 decreed that regiments should in future be known by their numbers only. Accordingly, Pulteney’s Regiment became the 13th Regiment of Foot. The redesignated 13th Foot entered a thirty-year period of garrison service in England, Ireland, Gibraltar and Minorca. In 1775, the American Revolutionary War broke out, widening into war with France from 1778 and Spain in 1779. The 13th Foot sailed for the West Indies, arriving in Barbados. They saw little active service, returning to England in 1782, moving on to Ireland in 1783. It was at this time that the regiment’s link to Somerset was first formed. On 21 August 1782, the Commander-in-Chief of the Forces, Henry Seymour Conway, issued a regulation giving an English county designation to each regiment of foot other than those with a royal title or highland regiments. The intention was to improve recruitment during the unpopular war, and the Secretary at War, Thomas Townshend issued a circular letter to the lieutenants of each county in England in the following terms: My Lord, The very great deficiency of men in the regiments of infantry being so very detrimental to the public service, the king has thought proper to give the names of the different counties to the old corps, in hopes that, by the zeal and activity of the principal nobility and gentry in the several counties, some considerable assistance may be given towards recruiting these regiments”. The regiment duly became the 13th (1st Somersetshire) Regiment of Foot (the 40th Foot becoming the “2nd Somersetshire”). The attempt to link regimental areas to specific counties was found to be impractical, with regiments preferring to recruit from major centres of population. By June 1783, each regiment was again recruiting throughout the country, although the county names were to remain. In 1790, the regiment sailed to Jamaica. In 1793, Britain was again at war with France, this time with the revolutionary régime. The 13th Foot landed in the French colony of Saint-Domingue, where the Haitian Revolution was in progress. Returning to Ireland in 1797 and England in 1799, the 13th were next engaged in a series of minor coastal assaults on the Spanish coast in 1800. In 1801, the regiment sailed to Egypt to help repel the French invasion force. The 13th took part in the Siege of Alexandria. In 1802, the regiment was awarded the badge of a sphinx superscribed “Egypt” for display on the regimental colours in commemoration of the campaign. A temporary end to hostilities with France came in March 1802, with the signing of the Treaty of Amiens. The 13th Foot left Egypt in that month, sailing to Malta, where they were stationed for a year, before moving to Gibraltar. 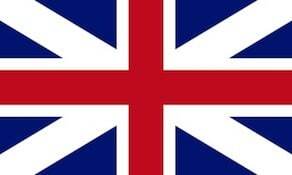 In 1805, the regiment returned to England. After occupying various stations in the south of the country, the 13th sailed for Ireland in May 1807. The regiment was brought up to full strength by an intake of volunteers from the Irish militia and sailed to Bermuda, arriving in March 1808. The regiment lost large numbers of men to disease while on the island. War had again broken out with France, and the 13th Foot formed part of the force that invaded and occupied the French colony of Martinique in January and February 1809. In 1812, the war had widened to include the United States of America. In the following year, the 13th Foot left Martinique for Quebec, from whence they proceeded to protect the frontiers of Upper Canada. The regiment crossed the St Lawrence River and took part in minor actions around Plattsburgh and Lake Champlain. The war concluded in 1815, and the 13th Foot returned to England in July of that year. The regiment spent the next few years on garrison duty in Jersey, Guernsey, England, Scotland and Ireland. In September 1822, the 13th Foot was moved to Chatham in Kent, where it was brought up to strength for service in India. While there, it was reconstituted as a light infantry regiment in December and was retitled as the 13th (1st Somersetshire) Regiment (Light Infantry). The 13th Light Infantry arrived in Kolkata in May and June 1823. Soon after arrival, Burmese forces attacked Cachar, a territory under British protection. War was formally declared on 5 March 1824, and the 13th took part in the campaign that lasted until February 1826, when a treaty was signed, with the King of Ava agreeing to cede territory and pay compensation to the British East India Company. The 13th Light Infantry returned to garrison duty in India. From 1826 to 1838, they were stationed in Baharampur, Danapur, Agra and Karnal. In 1837, Persian troops, allied to the Russians, occupied the Herat region of Afghanistan. The British, who feared Russian intervention in the area, decided to remove the emir of Afghanistan, Dost Muhammad, and to replace him with a pro-British monarch, Shuja Shah Durrani. Accordingly, an expeditionary force, known as the “Army of the Indus”, was formed. The 13th Light Infantry formed part of the invasion force, joining the other units in November 1838. The army passed into Afghanistan in March 1839, taking Kandahar in April without resistance. The 13th took part in the decisive victory at Ghazni in July 1839. The British initially achieved their objective of enthroning Shuja in August 1839. The 13th formed part of the occupation force that attempted to enforce the rule of the new monarch; but, in October 1841, a popular uprising against Shuja broke out. The 13th found itself engaged in operations against the rebels who had overthrown Shuja and taken the capital, Kabul. In November 1841, the regiment was forced to retreat to the fortified town of Jalalabad. The town was soon encircled, leading to a lengthy siege. In April of the following year, the garrison, under the command of Sir Robert Sale of the 13th, broke the siege and defeated the Afghan forces under Akbar Khan. Although the war, which ended in October 1842 with the return of the Army of the Indus to India, was essentially a reverse for the British forces, battle honours and campaign medals were awarded. The conduct of the 13th at Jalalabad was officially rewarded on 26 August 1842, when Prince Albert offered his patronage to the regiment and permitted his name to be used in its title, becoming the 13th (1st Somersetshire) (Prince Albert’s Light Infantry) Regiment of Foot. At the same time, the regimental facings were changed from yellow to (royal) blue, and the badge of a mural crown with a scroll inscribed “Jellalabad” was granted for display on the colours and uniform of the regiment. The unit was also honoured with the firing of a twenty-one gun salute at each army station it passed on its return to India. The 13th Light Infantry returned to England in 1845 after 23 years of foreign service. Presented with new colours at Portsmouth in 1846, the regiment moved to Ireland in the following year, remaining there until 1850, before spending a year in Scotland. From 1851–1854, they were stationed in Gibraltar. In 1854, the regiment was brought up to full strength and, in June of the following year, landed in the Crimea as part of the Anglo-French forces conducting a campaign against the Russians. They took part in the Siege of Sevastopol, and remained in the area after the ending of hostilities in February 1856, subsequently sailing to South Africa. In May 1857, the Indian Mutiny broke out. Reinforcements were requested, and the 13th arrived at Kolkata in October 1857. They took part in some minor actions. The British Army had been shown to be overstretched by the Crimean War, while the mutiny in India had led to the responsibility for providing a garrison in the subcontinent from the Honourable East India Company to the Crown forces. Accordingly, there was a need for an expansion and reorganisation of the existing regiments. Rather than raising new infantry regiments, the senior regiments of foot were each ordered to raise a second battalion, with the existing regiment being redesignated as the 1st Battalion. The 2nd Battalion of the 13th Light Infantry was raised at Winchester in January 1858. The two battalions, while sharing a depot, operated as separate units. The 1st Battalion saw active service in South Africa, fighting in the Ninth Xhosa War of 1878 and Anglo-Zulu War of 1879. The reorganisation begun by Cardwell in 1873 was carried to its logical conclusion by his successor, Hugh Childers, in 1881. Under these reforms, infantry regiments ceased to bear numbers and were instead known by “territorial” or royal titles only. The 13th Foot accordingly became Prince Albert’s Light Infantry (Somersetshire Regiment) on 1 July 1881. As the county regiment of Somersetshire, it also gained the county’s militia and rifle volunteer battalions, which were integrated into the regiment as numbered battalions. Within months the regiment had been retitled to Prince Albert’s (Somersetshire Light Infantry). The 2nd Battalion took part in the Third Anglo-Burmese War of 1885 to 1887. Following an initial invasion, the battalion spent two years broken up into small groups pacifying the inhabitants of the country. Whil the unit lost only 17 men in combat, 150 were to die from disease. During its period in India, the 1st Battalion was mainly stationed in the North West Frontier Province, and took part in First Mohmand Campaign of 1897. In October 1899, war broke out between British Empire and the Boer Republics of South Africa. The 2nd Battalion landed in the Cape in December 1899, and was part of the British forces defeated at the Battle of Spion Kop in January 1900. In February of the same year, the battalion helped to relieve the siege of Ladysmith. They spent the remainder of the conflict taking part in a number of minor actions. The Boer War had severely stretched the resources of the British Army and had exposed the weakness of the militia and volunteers as an effective reserve force. In 1907–1908, Richard Haldane, Secretary of State for War reorganised these second-line units of the army as part of a larger series of reforms. The existing militia was reduced in size and redesignated as the “Special Reserve”, while the Volunteer Force was merged with the Yeomanry to from a new Territorial Force, organised into 14 infantry divisions, liable for service in wartime. The changes were carried out under the Territorial and Reserve Forces Act 1907, and came into effect on 1 April 1908. From that date, the existing 3rd (Militia) Battalion was transferred to the Special Reserve, while the 4th Battalion was disbanded. The three volunteer battalions were organised and reduced to two Territorial Force battalions: the 4th based in Bath and the 5th in Taunton. The regiment’s name was again changed to the Prince Albert’s (Somerset Light Infantry) in 1912. The Regiment saw active service in the First World War, with battalions involved on the Western Front, Mesopotamia (now Iraq) and Palestine. Altogether, 18 battalions existed during the war. One of the new battalions was formed by the conversion of the West Somerset Yeomanry, a Territorial Force Cavalry Regiment; the rest were formed by the duplication of the existing Territorial Force units or by the formation of new “service” battalions. Following the armistice ending the First World War, the war-raised battalions were rapidly disbanded. The regular battalions returned to the pre-war system of alternating home and foreign stations. The 1st Battalion was stationed in Northern Ireland and England, before being stationed in Egypt (1926–1928), Hong Kong (1928–1930) and India from 1930. The 2nd Battalion, which had spent the entire war in India, fought in the brief Third Anglo-Afghan War in 1919, seeing active service in Afghanistan and on the North-West Frontier. Returning to India in 1920, the battalion moved to the Sudan in 1926 and England in 1927. The Territorial Force was reorganised to become the Territorial Army in 1920, and the 4th and 5th Battalions were reconstituted. At the same time, the 3rd (Special Reserve) Battalion was placed in “suspended animation”, and was never again embodied. On 1 January 1921, the regimental title was changed a final time, becoming The Somerset Light Infantry (Prince Albert’s). Altogether, 12 battalions of the Regiment served during Second World War, six of which saw service overseas. In addition to the regular 1st and 2nd Battalions, the existing 4th and 5th Territorial Battalions formed duplicate units in 1939 prior to war being declared: the 6th and 7th Battalions. The 8th (Home Defence) Battalion, which was also formed in 1939, was redesignated the 30th battalion in 1941. The 9th, 10th, 11th (Holding) and 50th (Holding) Battalions were all formed in 1940 – although the latter two had ceased to exist by the year end. The 2nd and 30th Battalions formed part of the First Army, and fought in North Africa and Italy. The 1st Battalion fought in Burma; and the 4th and 7th Battalions in the North-West European Campaign after the invasion of Normandy on 6 June 1944. The other battalion to see active service was the 10th Battalion, which was converted into the 7th (Light Infantry) Battalion, The Parachute Regiment in 1942, and parachuted into Normandy on D-Day. The Regiment also had responsibility for defending local airfields, including RNAS Charlton Horethorne, where they prepared trenches, hardpoints and machine gun positions. The 1st Battalion was the last British infantry battalion to leave India after its independence, departing on 28 February 1948. During the final ceremony, the battalion marched through Bombay (now Mumbai) and received a guard of honour from the newly formed Indian Army at the Gateway of India. The 2nd Battalion ended the war in Greece, subsequently forming part of the Allied occupation force of Austria. The two regular battalions returned to the United Kingdom where they were amalgamated into a single 1st Battalion on 28 June 1948 – this was part of a general reduction in the size of the infantry following Indian independence. The reconstituted 1st Battalion was stationed in Germany as part of the British Army of the Rhine from 1951–1953. From 1952–1955, it formed part of the British forces fighting in the Malayan Emergency, where it took part in jungle warfare. In its final years, the battalion was involved in a number of conflicts: the anti-tank platoon formed part of the Anglo-French force that intervened in the Suez Crisis of 1956. The majority of the battalion was in Cyprus, where a nationalist uprising against British rule had broken out. In 1957, they returned to Germany. In 1947, the Territorial Army was reconstituted and the 4th and 6th Battalion were reformed as infantry battalions; the 5th Battalion was reformed as a unit of the Royal Artillery. Three years later, the 4th Battalion absorbed the two other units. The regiment amalgamated with the Duke of Cornwall’s Light Infantry in 1959 to form the Somerset and Cornwall Light Infantry. This, in turn, amalgamated with the three other regiments of the Light Infantry Brigade to form The Light Infantry in 1968. The final chapter of the Somerset Light Infantry ended on 1 February 2007, when the Devonshire and Dorset Light Infantry, the Light Infantry, the Royal Gloucestershire, Berkshire and Wiltshire Light Infantry and the Royal Green Jackets merged to form the RIFLES. The Regiment’s history is exhibited at the Somerset Military Museum, which is a part of the Museum of Somerset at Taunton Castle. First World War Battle honours in bold were selected for display on the King’s/Queen’s Colours. Second World War Battle honours in bold were selected for display on the King’s/Queen’s Colours. From its establishment in 1685, the regiment had a red coat with yellow facings. This was originally the colour of the cloth lining of the coat, which appeared in the turned back cuffs, skirts and lapels. Later, as uniform styles changed, it became the colour of the collar and cuffs of the jacket or tunic. A royal warrant of 1751 first regulated the facing colours of the “Marching Regiments of Foot”. Those of the 13th Foot, or Lieutenant-General Pulteney’s Regiment, was given as “philemot” yellow, a description repeated in the next clothing regulation of 1768. “Philemot” was a corruption of the French feuille morte or “dead leaf”, a shade of yellow approximating to that of a faded (Autumn) leaf. When the 13th Foot was given the title “Prince Albert’s” in 1842, it became a “royal” regiment, and the facings were changed to dark blue. The braid and lace worn on officers’ coats was silver until 1830 and thereafter gold. It had a black line threaded through it. A distinction unique to the regiment was that the warrant officers and sergeants wore their sashes over the left shoulder and tied on the right side, in the same manner as officers. This commemorated the regiment’s stand at Culloden, where the large number of officer casualties led to the sergeants taking command. This was authorised in 1865, although appears to have been worn earlier without authority. In 1898, officers of all regiments were ordered to wear the sash knotted on the left side, with the exception of the Somerset Light Infantry who were permitted to continue with the knot on the right. In 1822, the regiment was granted light infantry distinctions, which survived in the full dress of 1914 as a dark green home service helmet (instead of the dark blue of line infantry) and a bugle-horn incorporated in its badge. The forage cap and postwar No.1 dress uniform worn by the regiment was also dark green. The first distinctive badge awarded to the regiment was the sphinx for service in Egypt, authorised in 1802. From 1814, a stringed bugle-horn had been the approved badge of light infantry and rifle regiments. When the 13th Foot were converted to light infantry in 1822, the badge adopted for the shako head-dress was a “bugle-horn with strings with the numerals 13 in the centre and surmounted by the Sphinx”. When a new model of shako was adopted in 1844, a mural crown and scroll inscribed “Jellalabad” were added. Similar devices were used on the plate of the home service helmet adopted in 1878. In 1898, when khaki service dress was introduced, a metal badge was designed for the new slouch hat. This consisted of a bugle surmounted by a mural crown above which was a scroll inscribed “Jellalabad”. The cypher “PA” for Prince Albert was placed within the strings of the bugle horn. This remained the regiment’s cap badge on various forms of head-dress until amalgamation.